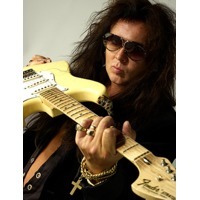 Yngwie Johann Malmsteen (English pronunciation: /ˈɪŋveɪ ˈmɑːlmstiːn/ ING-vay MAHLM-steen; born June 30, 1963) is a Swedish virtuoso guitarist, composer, multi-instrumentalist and bandleader. Malmsteen became known for his neo-classical playing approach in heavy metal music which became a new musical style in the early eighties. He is considered by many to be one of the most technically gifted rock guitarists of all time and is considered to be a pioneer of shred guitar.